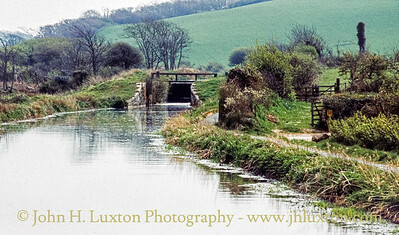 The Bude Canal was a canal built to serve the hilly hinterland in the Devon and Cornwall border area, chiefly to transport lime-bearing sand for agricultural fertiliser. 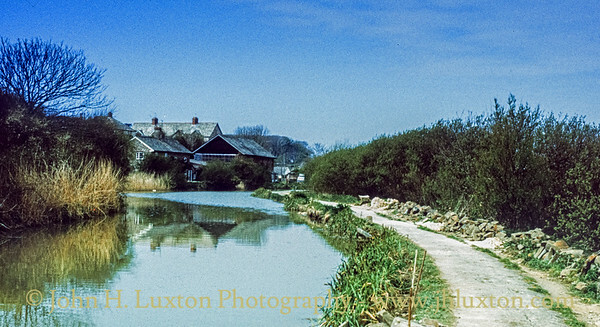 The Bude Canal system was one of the most unusual in Britain. It was remarkable in using inclined planes to haul tub boats on wheels to the upper levels. 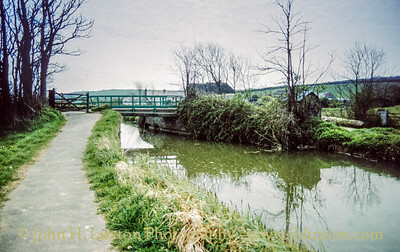 There were only two conventional locks, in the short broad canal section near the sea at Bude itself. It had a total extent of 35 miles (56 km), and it rose from sea level to an altitude of 433 feet (132 m). The canal opened in 1823 and all except the seaward end closed in 1893. 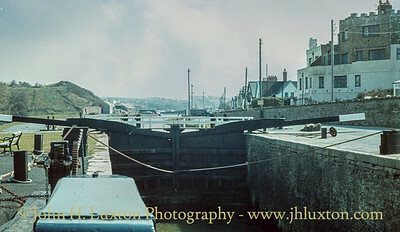 The section from Falcon Bridge to the Sea Lock remains in use and acts as a harbour for Bude. Access to the Sea Locks is only possible at high water. 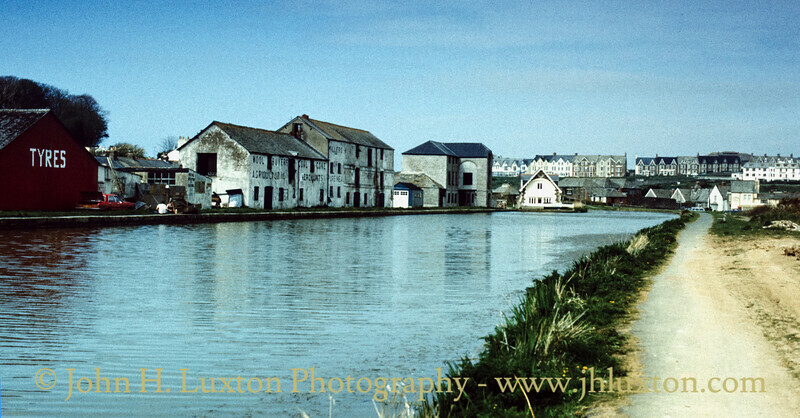 The Warehouses on the upper wharf on the Bude Canal before the developers moved in! 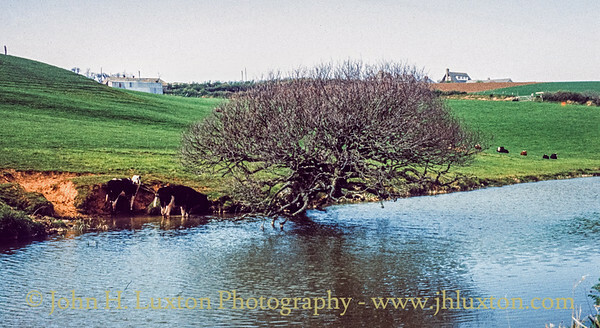 The building to the right of centre facing the camera is the original Bude RNLI Lifeboat Station. Upper Whaft Grain Warehouse which has since been rebuilt into apartments as Granary Court. 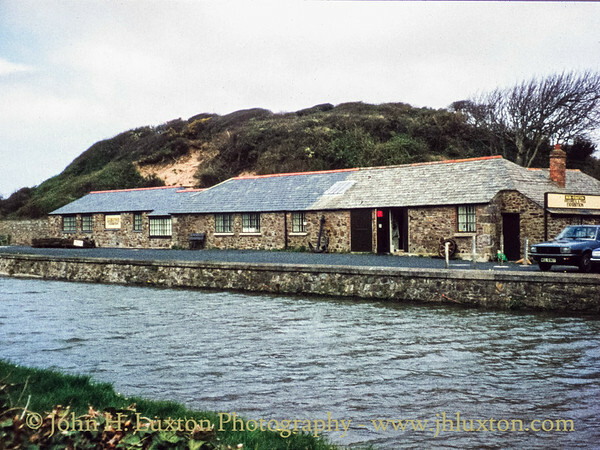 The Petherick Warehouse at the Upper Wharf sadly replaced by an apartment block that loosely pays homage to the canal heritage of the site. The Sand Railway wagon turntable. The Sand Railway constructed in 1923 replaced an earlier plateway constructed in the early days of the Canal. Sea sand was collected from the beach by wagons on moveable tracks which linked to the turntable. Horse traction was used. The Sand Railway and wagon turntable. The Sand Railway constructed in 1923 replaced an earlier plateway constructed in the early days of the Canal. Sea sand was collected from the beach by wagons on moveable tracks which linked to the turntable. Horse traction was used. 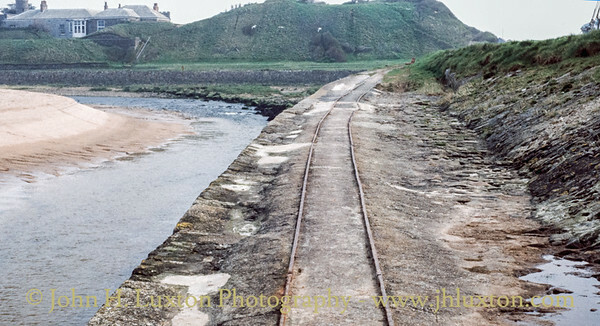 The tracks of the two foot gauge sand railway which was constructed circa 1923 to convey sand from Summerleaze Beach to the Canal Wharf. It replace a plateway constructed in the 1820s. View towards the Sea Lock at Bude. 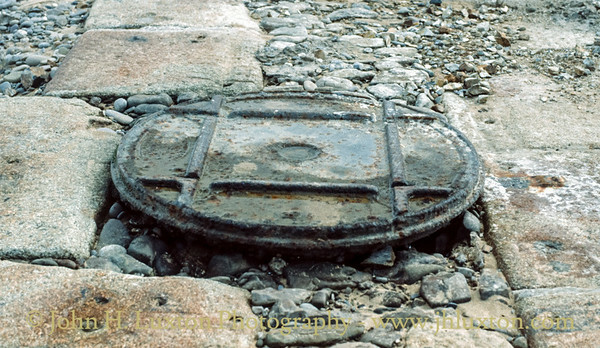 The overflow sluices can be seen as can the track of the two foot narrow gauge Sand Railway descending to the Summerleaze beach. This railway constructed in 1923 replaced an earlier plateway built in the 1820s. 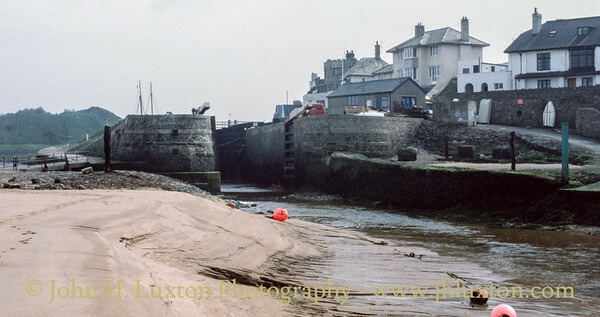 The entrance to the Sea Lock at Bude. 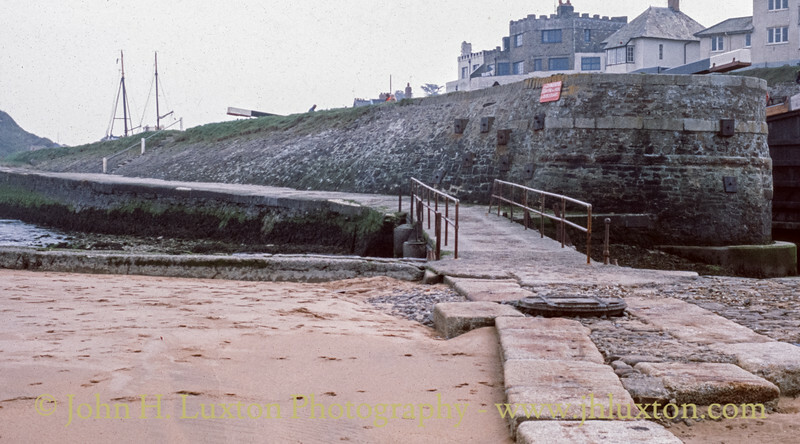 The small bridge on the left carried the rails on the Sand Railway to the beach. 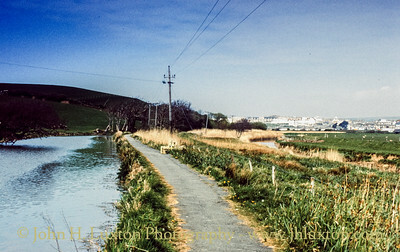 View of the Lower Basin of the Bude Canal from the Falcon Bridge. The Lower Wharf which was once served by a branch from the London South Western Railway / Southern Railway can be seen on the right. 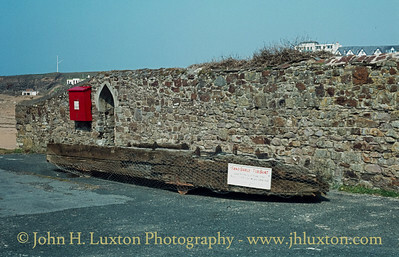 A Bude Canal Sand Barge Tub Boat which is a vessel of national significance. Notice the railway wheels under the vessel which were used on the incline plains. 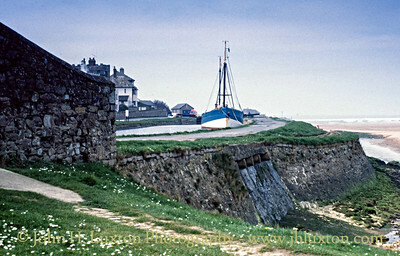 The sand barges conveyed sea sand from the beach at Bude to the farms in the Bude / Launceston area. The narrow gauge sand railway conveyed sand from the beach to the wharf alongside the canal. View from the sea lock towards the lower basin and lower wharf.